· Asefa Estudiantes - UCAM Murcia ( 7th September) || 77 - 68 : 26:15 minutes, 12 points, 5 assists, 1 rebound, 1 personal foul and 13 of efficiency. · Real Madrid - Asefa Estudiantes (9th September) || 78-75: 28:37 minutes, 15 points, 3 rebounds, 4 personal fouls and 12 of efficiency. · Asefa Estudiantes - Cajasol (12th September - Closed Doors) || 88-87: 24 points. 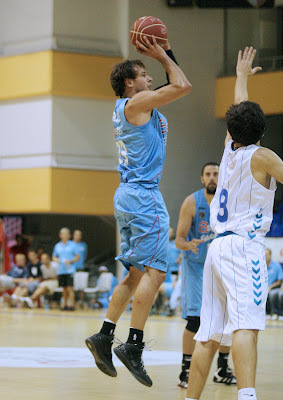 · Real Madrid - Asefa Estudiantes (16th September) || 71-60: 18 points. · Benfica - Asefa Estudiantes (22th September) || 81-85: 33:44 minutes, 25 points, 22 of efficiency. · Asefa Estudiantes - Cáceres (23th September) || 70-81: 31:35 minutes, 18 points, 4 rebounds, 4 assists and 25 of efficiency.